Leading renewable energy and infrastructure consultancy, Natural Power has appointed David Armour as its Head of HSEQ. This wide ranging role includes leading the health, safety, environmental and quality team that provides support and advice to both the company internally and to its clients internationally. 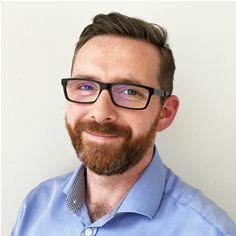 David also has responsibility for developing and implementing the HSEQ strategy across Natural Power, maintaining the ISO 9001, 14001 and OHSAS 18001 accreditations and ensuring the organisation carries out its works in a responsible and diligent manner. David has been an HSEQ professional for the past ten years having worked formally as a mechanical maintenance engineer before moving into health and safety. He has a BSc in Occupational Safety and Health, is a graduate member of IOSH and is currently working towards chartered status. His experience spans a number of technical industries including offshore and onshore wind, solar, civil construction, port, maritime, and electrical utilities. Natural Power is a leading independent renewable energy consultancy and products provider. The company offers proactive and integrated consultancy, management and due diligence services, backed by an innovative product range, across the onshore wind, offshore wind, wave, tidal, renewable heat, solar pv and hydro sectors, whilst maintaining a strong outlook on other new and emerging renewable energy sector globally.